Scratched glass repair can be expensive, time-consuming, and sometimes even stressful. 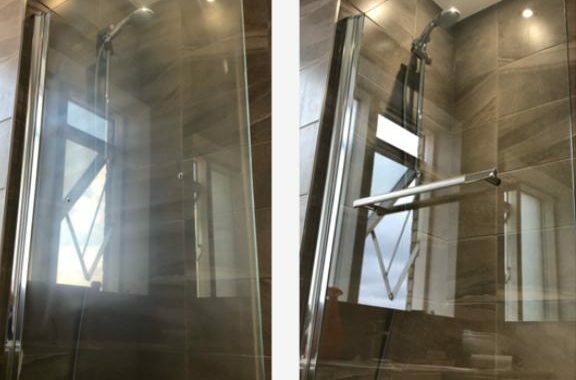 There’s no such thing as the best solution to a problem which often confuses owners, and which can be downright frustrating in case the glass piece is used for commercial purposes. 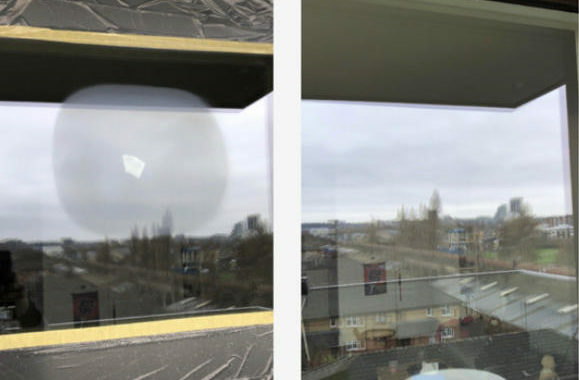 One day the glass looks perfectly fine and the next day it has a scratch either across or spreading out in a web shape. Even though this can be frustrating, the good news is that – in most cases – there’s no need to replace the entire thing. 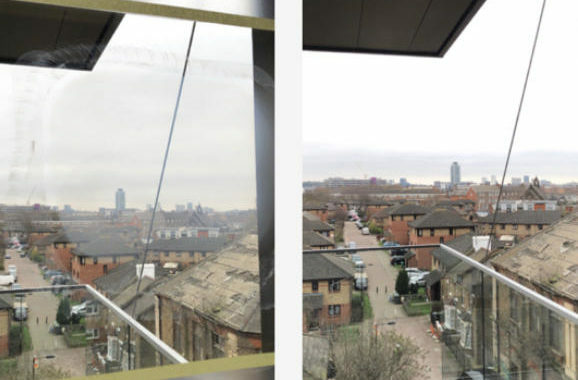 Modern commercial glass is extremely tough and while it might look structurally broken from the outside, it often sustains quite a lot of pressure before becoming unstable. 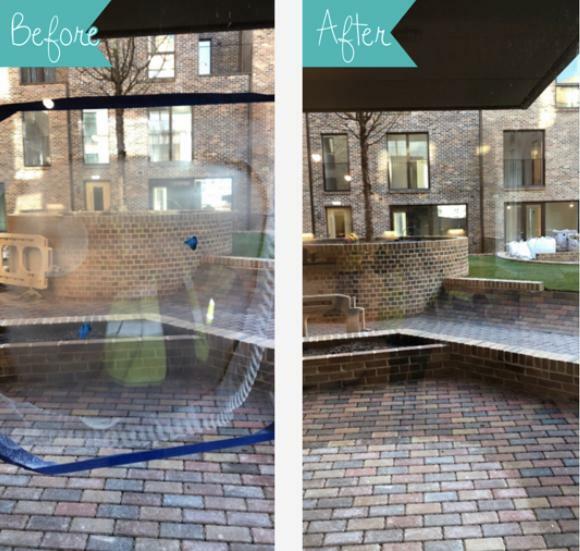 That’s why Resurface Glass offers glass restoration services that are financially viable and easy to understand. 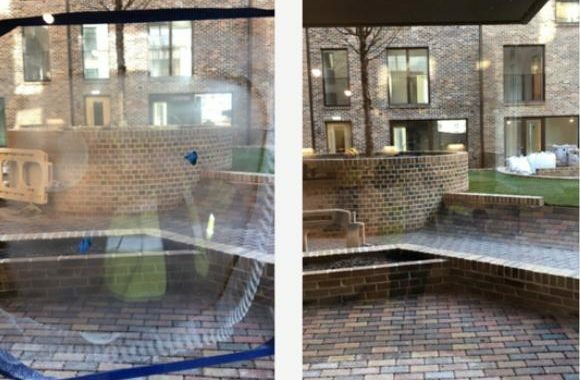 Cheaper and quicker than glass replacement services, Resurface Glass can help you fix your commercial glass in just a few hours. Ask for a FREE quotation now and get your scratched glass repair done in no time at all. 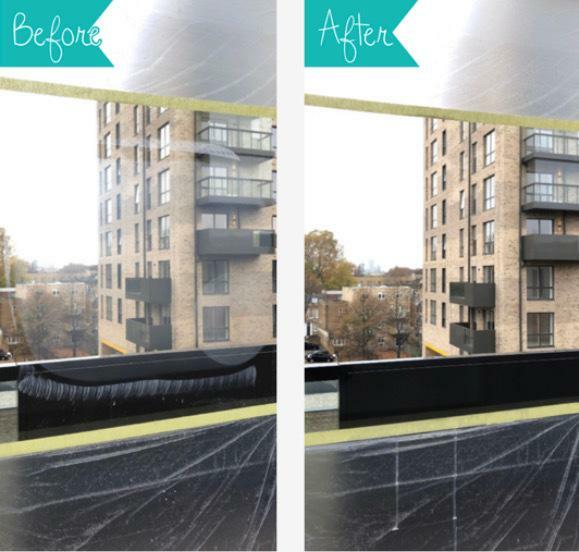 Why is Glass Restoration Better Than Glass Replacement? Glass restoration isn’t always possible. Deep gouges that compromise the structural integrity of the glass piece can’t be fixed on-site for example. 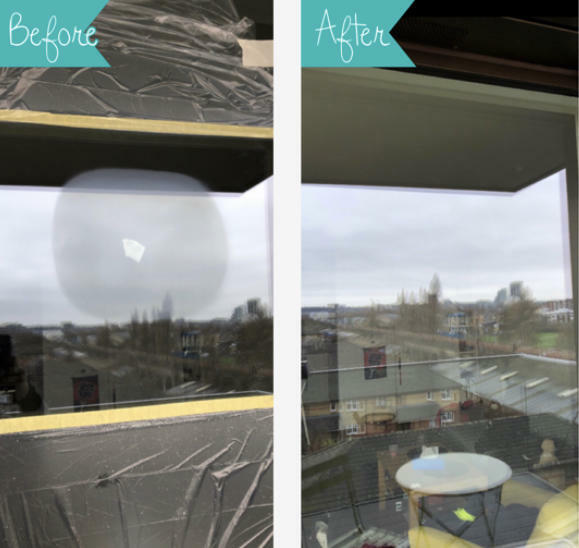 Instead, superficial scratched glass repair is possible even when the scratches go deeper than expected, and as long as they do not damage the overall stability of the glass. This is especially cost-effective for slabs of glass used on commercial properties such as stores, malls, and so on. 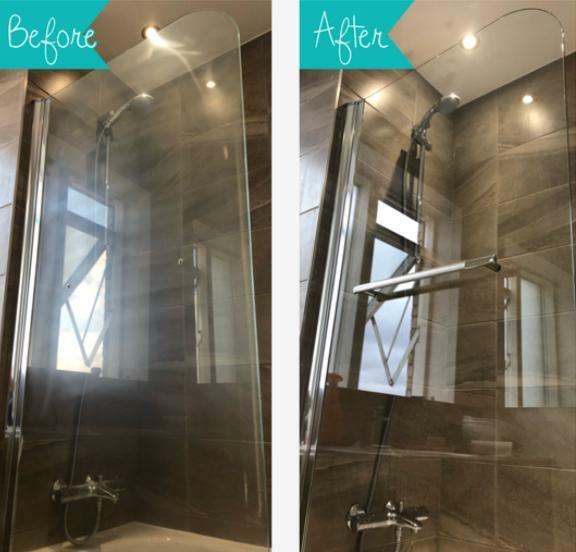 Resurface Glass offers on-site glass restoration services that are custom-fit to the problem at hand, with particular attention paid to environmental issues. 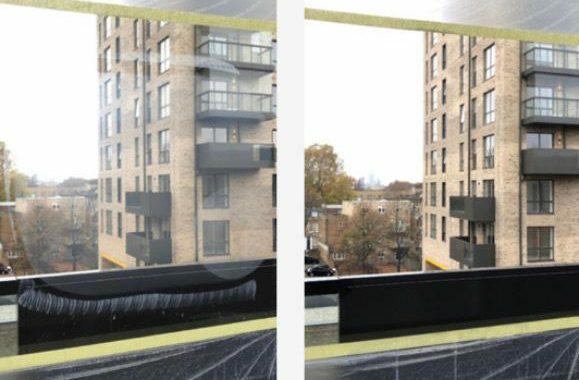 In fact, glass replacement isn’t just costly from a financial point of view, it’s also costly from an environmental point of view due to the melting activities required to produce new glass. 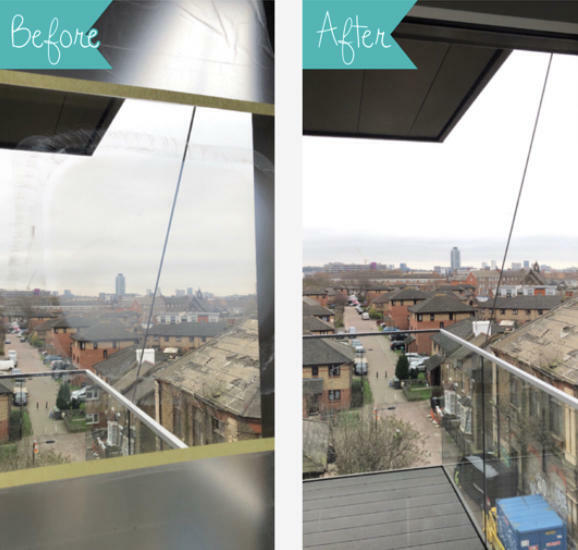 Since we offer glass restoration services which have zero environmental impact, this means that – when applicable – you’ll get to save both time and money while also protecting the environment and reducing the increasingly worrying effects of global warming. A win-win situation for both producers and clients. Whenever something breaks or becomes aesthetically unpleasing to look at in commercial environments, the last thing that you want to do is wait until potential clients notice that the damage is not a temporary issue. If kept for a prolonged time, a cracked glass can be seen a sign of mismanagement or financial trouble – an image that no business would like to build for themselves. And even when that might not be the case, reacting quickly is an important step towards replenishing your image. Resurface Glass’ top rated scratched glass repair services are here to prevent costly glass replacement from happening when least necessary. Ask for a FREE glass restoration consultation now and re-establish your image as a leader in your industry!